St Mary, Help of Christians Catholic Church in Sleepy Eye, Minnesota, will have an EF Missa cantata on September 14th, the feast of the Exaltation of the Cross, which is also the 10th anniversary of the motu proprio becoming legally active. 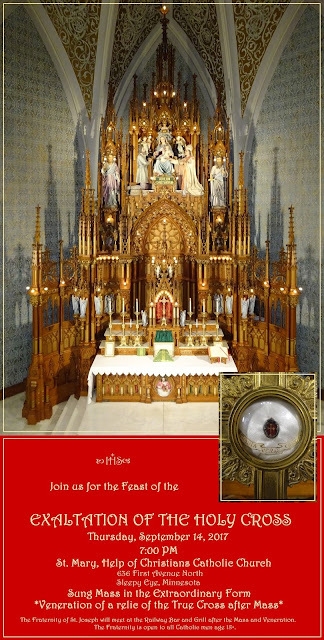 The Mass will starting at 7pm, and be followed by the veneration of a relic of the True Cross. The church is located at 636 First Avenue North.